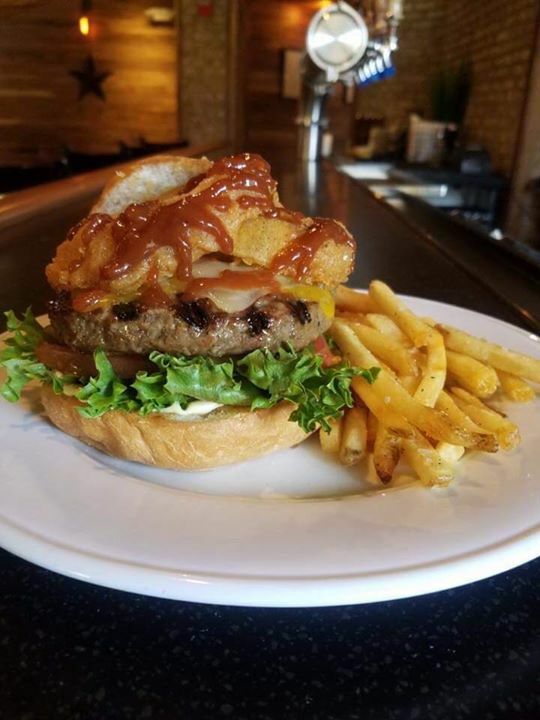 Eight ounce select burger topped with Cheddar, Swiss, two onion rings, and Dog Money house made steak sauce. Served on kaiser bun with lettuce, tomato, pickle, onion with shoestring fries. Every Wednesday is BURGER & BEER DAY just 12.50 All Day Lunch & Dinner!